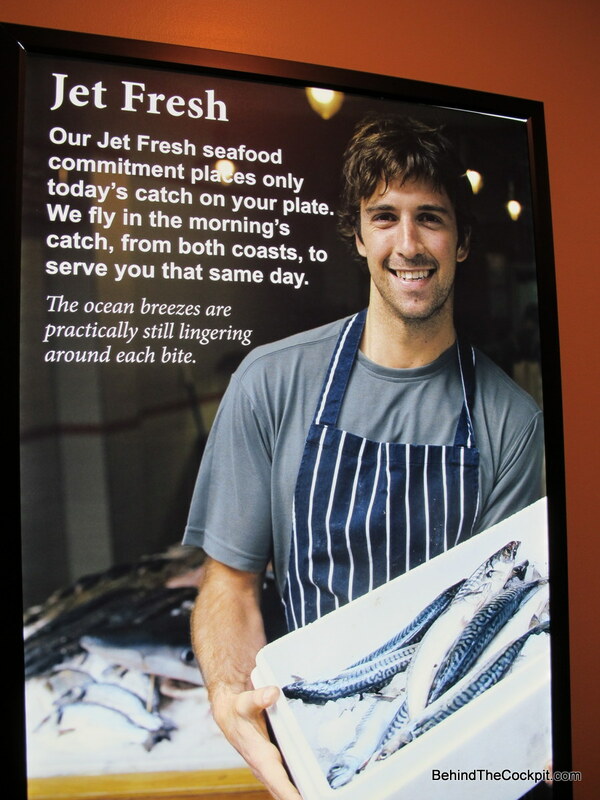 For someone who was born in Calgary, with no ocean nearby, it’s hard to find tasty seafood. Thanks to our mountain fed lakes we do get to enjoy fresh and local trout and pickerel (Walleye). But it’s very rare to enter a place and feel like you are close to a coast with the display of oysters in the middle of the Catch Oyster bar. I’ve been to Catch a half dozen times in the last year even though they were closed for quite a few months for a remodel. We’ve enjoyed birthday parties, date nights, couple nights out and even taken our parents here to meet for the first time. To start there are actually two restaurants here, Catch the Oyster bar downstairs and Catch restaurant upstairs. Upstairs is more on the fine dining side of things but the actual room doesn’t give off this vibe. 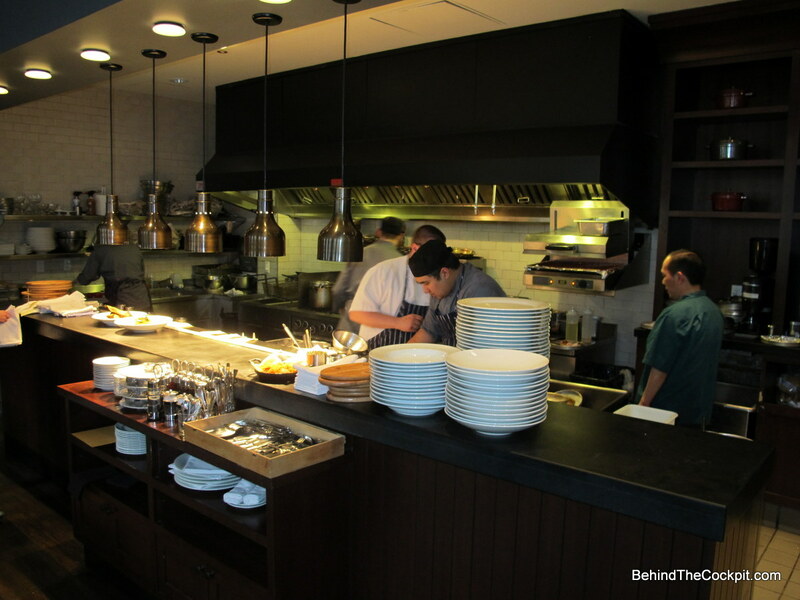 The restaurant has a large private dining table and the whole room has a fun upscale feel to it. 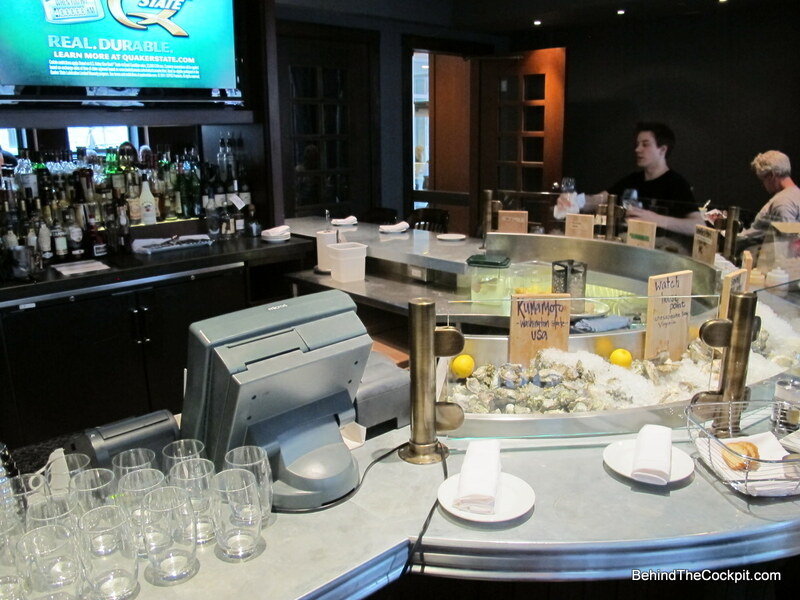 The Oyster Bar downstairs has an open kitchen and fresh oyster bar with bar style seating. There are booths along the windows which are comfortable for two but I would think slightly tight for four people. 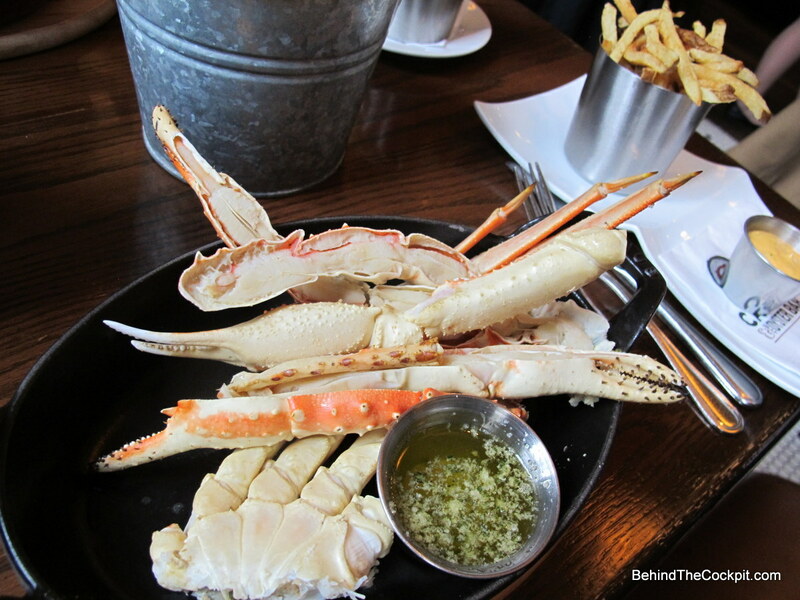 The menu at Catch Oyster bar isn’t as fine dining as upstairs and this works well for me. 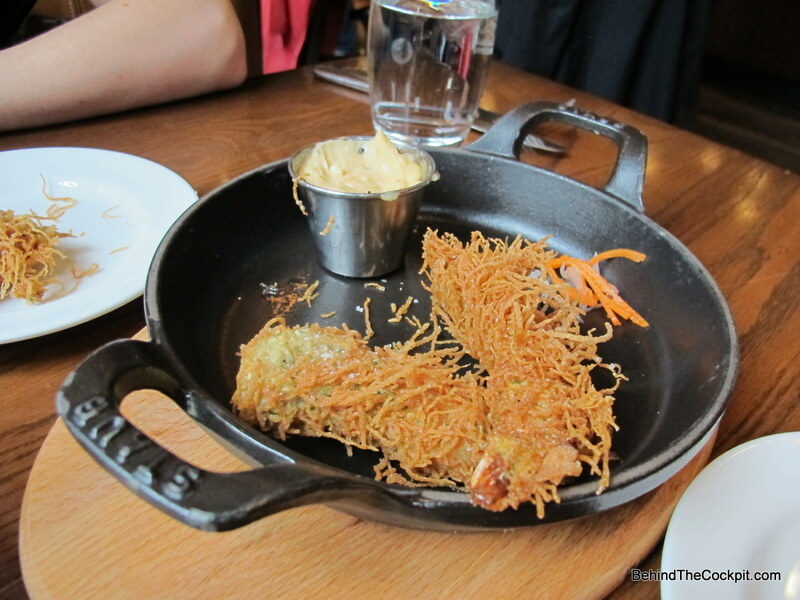 The prawn tempura is one of their hit starters and I really suggest you order at least a half order on your first visit. I enjoy them but not as much as my dining companions who always order these on their visits. The clam linguine is a hit in my books. The dish has the right amount of spice and just works well together. 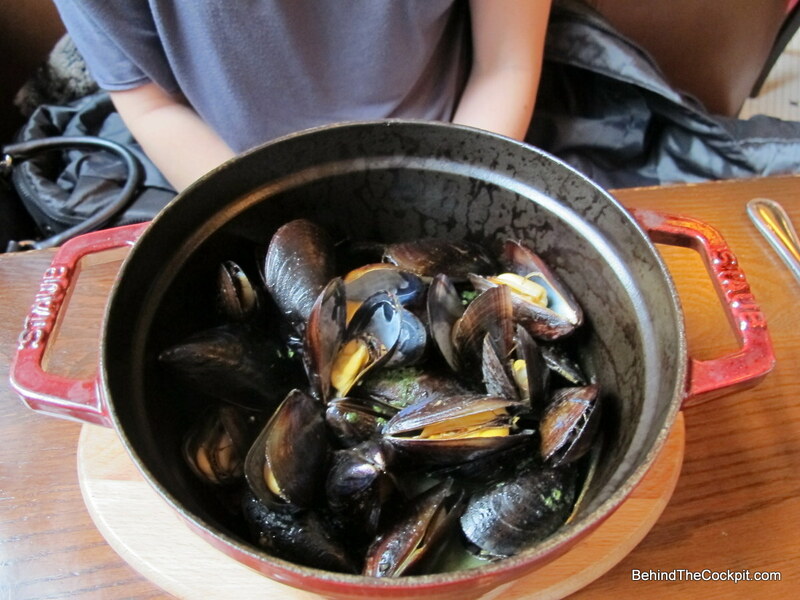 We always get a pot of mussels too. 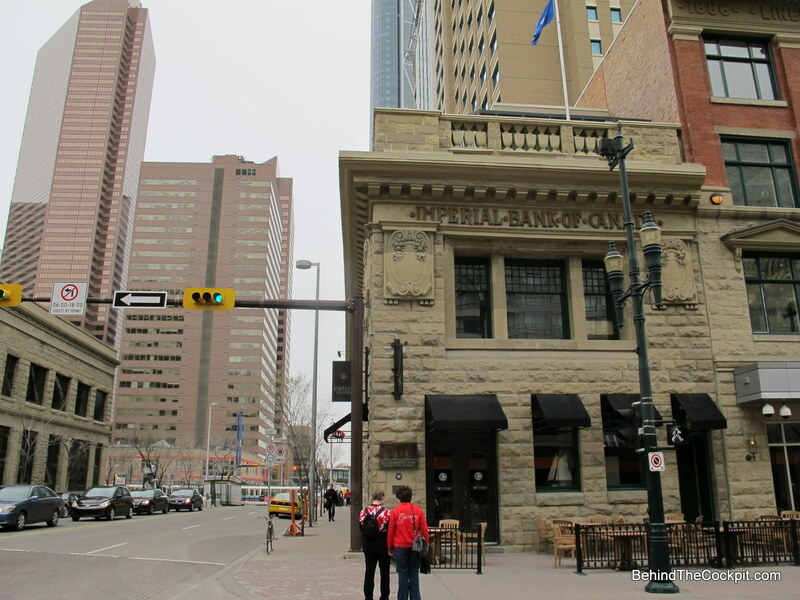 It’s a substantial portion compared to other restaurants in Calgary and you have a choice of 5 different broths. I always start with a few oysters per person while dining here. They have at least a half dozen different types and I’ve enjoyed them all. 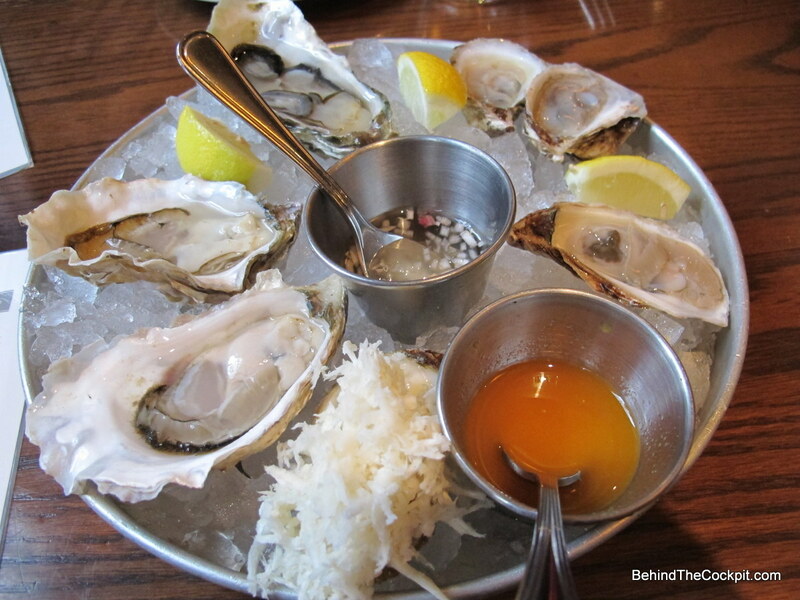 The oysters are accompanied with some fresh horseradish, lemons and two very tasty sauces. So in case you have any first timers or people who like to dress up their raw oysters these extras do a fine job. East coast oysters are usually larger then their west coast counterparts because they take longer to mature. A few times we have eaten here right at 5:00pm and the place is usually fairly full so there is a social atmosphere. You can also park underground at the Hyatt hotel and the reception will validate your parking which is a good perk. As for service, every visit has been excellent except once. 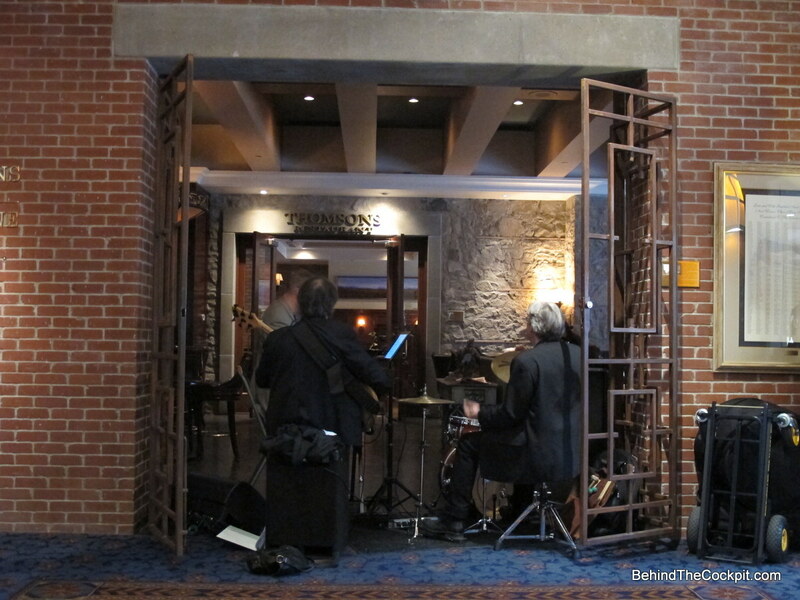 Otherwise the staff have been terrific and I notice little turnover which is a good sign for us frequent guests. 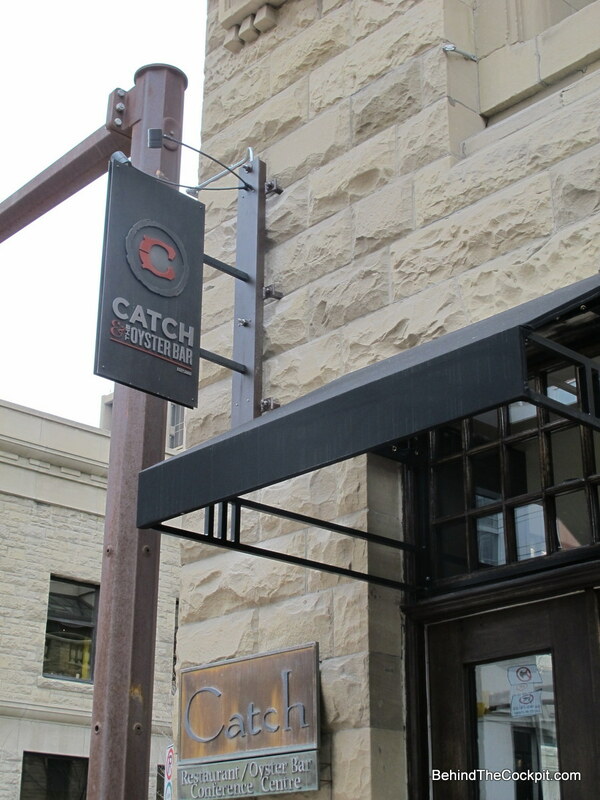 Overall if you are craving seafood in Calgary head to Catch. Weather you are in the mood for a more casual setting and food or fine dining this place has both options covered and their seafood really is that fresh since it’s flown in daily. 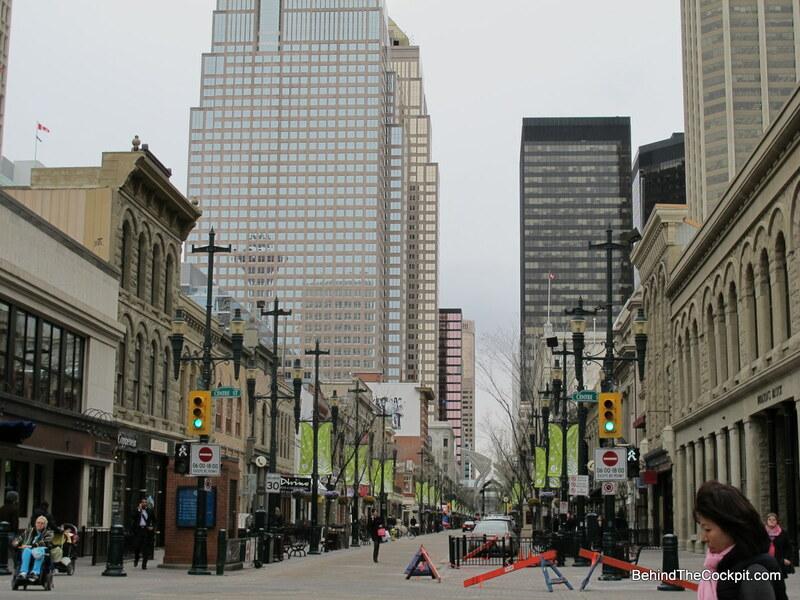 Plenty of places to grab a drink before or after your meal on Stephen Ave. 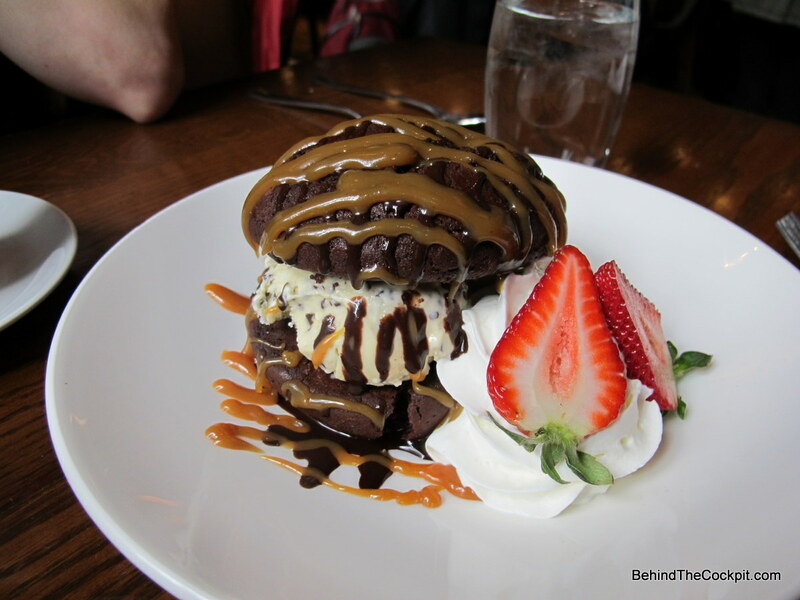 This entry was posted in Food Worthy of a Detour and tagged Catch Calgary, Hyatt Calgary dining, Oyster bar, Seafood. Bookmark the permalink.